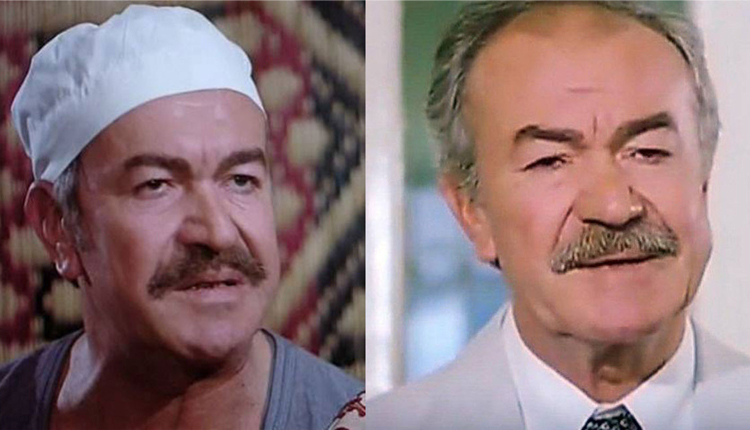 Adel Adham, who passed away 9 February 1996, can’t be viewed as an actor who only succeeded in playing the villain in Egyptian cinema. The man was endowed with a special style of performing these kind of roles that distinguished him from those who made such roles their specialty to the extent that he became the founder of an acting technique emulated by others. Adel Adham, who was dubbed “The Prince,” was born in Alexandria on 8 March 1928 to a father who was a government employee and a mother of Turkish origin. Being fluent in a number of languages helped him in getting along with members of foreign communities, who were widespread in the coastal city, especially after he began to work in business since he was 17. While strolling on an Alexandrian beach, he was spotted by director Abdel-Fattah Hassan during the shooting of a film and offered an acting job. The handsome youth liked the idea and appeared in several movies taking small parts, starting in 1949 and including Gawaher (Mohamed Abdel-Gawad) and The Big House (Ahmed Kamel Morsi). Adham was waiting for the opportunities Abdel Fattah Hassan had promised him to materialise. Unfortunately, the director died before presenting his new discovery to the cinema. Adham went to the actor and director Anwar Wagdi who was curt, stressing that he wasn’t suitable for acting except in front of a mirror. The handsome youth, who was an athlete, decided to move into dancing through his lifetime friend Ali Reda, co-founder of the Reda Folkloric Dancing Troupe, at the same time as working in the Cotton Stock Exchange in Alexandria. He met director Ahmed Diaa-Eldin, who was about to shoot A Queer Girl and Am I Mad? (both 1964) and decided to cast Adham in the two films since he believed in his talent. At last, Adham’s wish was granted almost 14 years after Anwar Wagdi killed it in the cradle. In that year, Niazi Mostafa also cast him along with the most famous actor at the time, Farid Shawqi, in The Spy. Thus, this strong beginning made for a significant push in Adham’s cinematic career. But the most important point was that Adham began to know the screen persona that suits him most: the light-hearted villain. Through acting a number of different characters, Adham became sure-footed and by the beginning of the 1970s, the biggest name in villain roles. This was manifested in a number of films such as Adrift on the Nile (1971, Hussein Kamal), based on a novel by Naguib Mahfouz, The Sad Night Bird (1977, Yehia El-Alami), Masters and Slaves (1978, Ali Reda) and Stronger than Days (1979, Nader Galal). However, his most memorable performance was in Barefoot on a Golden Bridge (1976, Atef Salem) where he played King Farouk, king of Egypt, under the character name of Aziz. It was the life story of the screen siren Camelia in the 1940s. The first was in The Woman who has Beaten the Devil (1973, Yehia El-Alamy), adapted from a short story by the renowned author Tawfiq Al-Hakim. The film’s significance is derived from the fact that Adham transcended evil roles by portraying the symbol of evil itself, namely Satan. It was a very rare experience in Egyptian film history. Only two actors preceded Adham in playing the same role, Youssef Wahbi, the star and director of Hell’s Ambassador (1945), and Mahmoud El-Meligy in An Appointment with Satan (1955, Kamel El-Telmissany). However, both performances were traditional: theatrical in the case of Wahbi, and stereotypical in the case of El-Meligy. With Adham, it was totally different. His rendering ranged between smoothness when he was insinuating to ferocity when his rage is at full throttle. The second experience was his role in The Unknown (1984, Ashraf Fahmi), adapted from the play The Misunderstanding by Albert Camus, when he played a deaf mute who throws the corpses of his mistress’s victims in the lake. This was Adham’s opportunity to present a superb performance relying solely on body language and facial expression, through which he won several awards. In his final years, Adham tried to break the villain or strongman mould by playing human and benevolent roles, perhaps the most prominent of which in A Man for this Age (1986, Nader Galal) and The Lady’s Driver (1994, Hassan Ibrahim) before making his swansong in Suspicious Relationships (1996, Adel El-Asser).